Settlement dates back to 1749 when what is now Hidalgo was known as La Habitaci�n. The community was also known as Rancho San Luis or San Luisito. The town was renamed Edinburgh (with an H) when Scotsman John Young invested in the community in 1852. Edinburgh became the county seat - and in 1876 a post office opened under that name. Nine years later Edinburgh changed its name to Hidalgo. 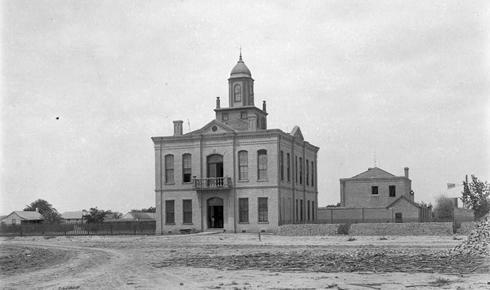 The county government shifted in 1908 when the courthouse and offices moved to nearby Chapin, Texas. After County Judge Chapin was involved in a trial, residents felt the need for another change of name. Chapin, Texas became Edinburg (without the H). During the period of "border unrest" during the turmoil in Mexico, U.S. troops were stationed at Hidalgo - it had also been home to a contingent of Texas Rangers. By 1920, Hidalgo had a healthy population of 250 residents. 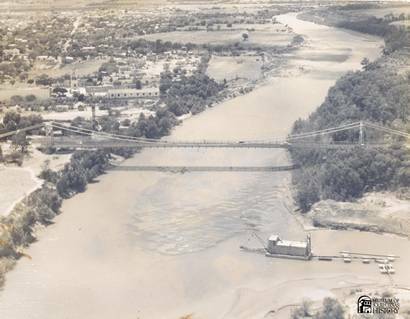 Flooding and erosion of the banks of the Rio Grande necessitated a move to higher ground. 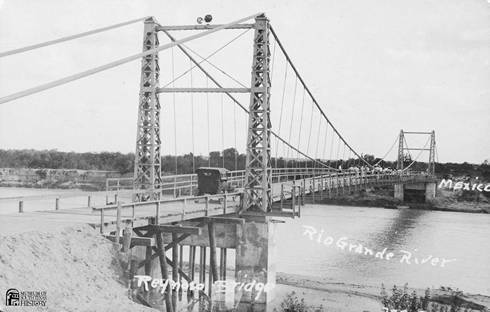 A Hidalgo-Reynosa ferry had been in service until the suspension bridge below was built in 1926. By 1930 Hidalgo's population was over 600 and it incorporated in 1931. 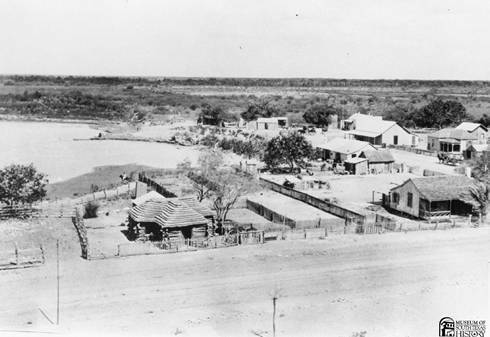 By 1940 most of the original town site had been obliterated by the currents of the river - which explains the absence of a distinct downtown or older buildings. At that time the town's population was nearing 700. 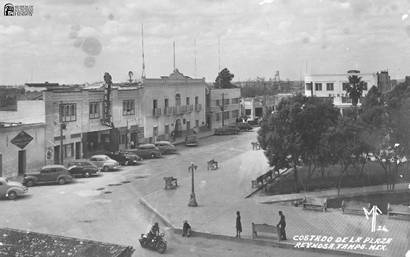 In comparison with its Mexican neighbor, Reynosa, Hidalgo remained small. From a population of 1,600 in 1980 it leapt to 3,300 by 1990. New subdivisions provided housing and the town erected an oversized sculpture of a bee in the city park; Hidalgo being the alleged entry point into the U. S. for the dreaded "Killer Bees" that had been migrating northward from Brazil. The current population of Hidalgo is given as 7,300 on the 2004 state highway map.